Build your credit by using credit responsibly. Consider a secured credit card, if you cannot qualify for a standard credit card. 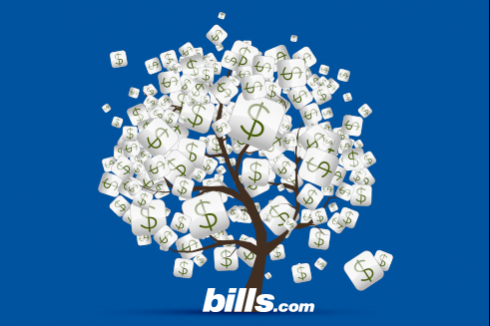 Use automatic bill paying, to avoid late payments. In order to build and maintain good credit, you must wisely select, use, and pay on your credit cards and other loans. Each step is important. Put them all together and your credit rating should rise. Make bad choices and you might hurt yourself, including in some surprising ways. When applying for credit, only sign up for cards you're comfortable using for years to come. Getting into the habit of always signing up for the newest card and transferring your balances from the older ones to the latest with the lowest introductory rate can seem smart if it saves you interest and lowers your monthly payment. The truth is, however, opening and closing credit cards on a regular basis has a negative impact on your credit report. Payment history counts when it comes to your credit rating, so you don't want to close accounts you have had open for many years. So, if you close your older card when you transfer your balances to the new one, you're really doing your credit score no favors. Avoid this credit rating pitfall by choosing your cards wisely to begin with and sticking to them. The oldest myth about credit cards is the idea that you should pay off your cards every month to earn an excellent credit rating. Set your own record straight! Credit reporting agencies like Equifax and TransUnion show the most favor to credit card holders who carry small balances on their cards month to month. This proves to the agency that you're comfortable carrying and responsibly managing debt. Cardholders who follow this rule can watch their credit rating rise. Surely you've also heard that making payments on time is a must. Unlike the myth above, this rule is tried and true. Paying less than the minimum payment or making your payment late will surely bring your credit score down and may also saddle you with late fees that lead to even higher balances. Always at least make the minimum monthly payment on time to avoid being delinquent. If you do have late payments in your credit history, work to stay current on your new cards for at least two years. The reporting agencies pay the most attention to the recent payment activity, not ancient history. So by getting back on track of making timely payments, you can help improve your credit score. To start building a good credit history, you'll need to obtain a credit card, use it, and make the first payment before you'll see any effect on your credit score. You may have to sign up for a secured card as a first step, if you do not qualify for a standard credit card. With a secured credit card, your credit history does not matter. To get a secured credit card, you are required to deposit money into an account controlled by the credit card issuer. Any debt you incur using the card is secured by the funds you've placed on deposit. A secured card reduces the creditor's risk when dealing with someone with poor credit or a very limited credit history. While a secured card will not necessarily give you great spending power, it is an effective way to build your credit score. Once you've made your first payment on time for at least the minimum required amount to the creditor, you should see your credit score start to rise in the following weeks. If you carry a low balance month to month on the card, your credit should improve markedly assuming you have no other problem credit accounts pulling your score down. Other ways to build credit from scratch can include getting a low limit store card or a gas card. These cards often have high interest rates, so try to avoid carrying a significant monthly balance. Make sure you make all the payments on time. A helpful tip for never missing a payment is to use an automatic bill-pay system that is available either through the creditor or through your bank. If someone with a better credit history will co-sign with you, you benefit from your co-signer’s strong credit history in building your credit. Since a co-signer takes equal responsibility to repay the balance, both you and your cosigner's credit rating will be adversely impacted should you default on your payment. The co-signer should be aware of the potential risks to their credit history by co-signing. While many consumers misuse credit cards and make poor decisions about purchases, management, and payment habits, responsible use of credit cards is beneficial and is mandatory if you wish to build and maintain a good credit score.